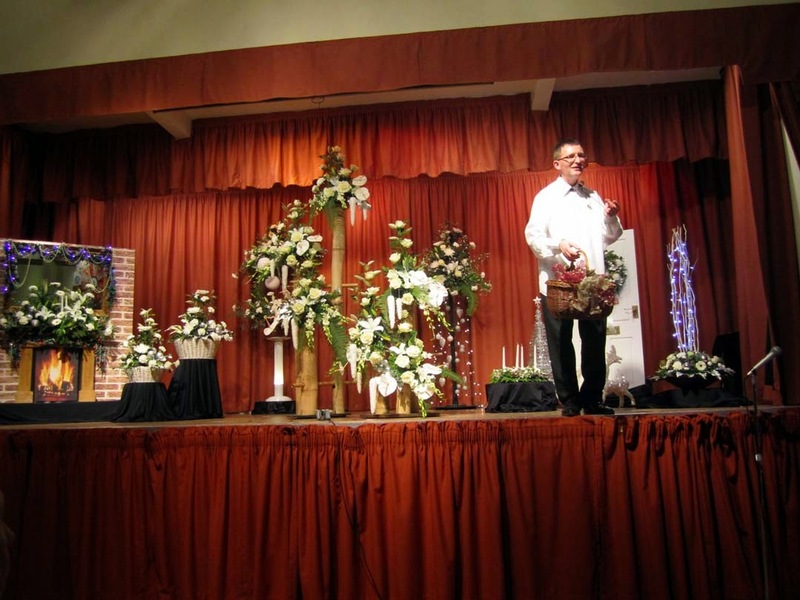 Jaynes stitching tales: Happy Birthday. Today is my birthday spent it with my Hubby shopping in York, but it has rained all day. 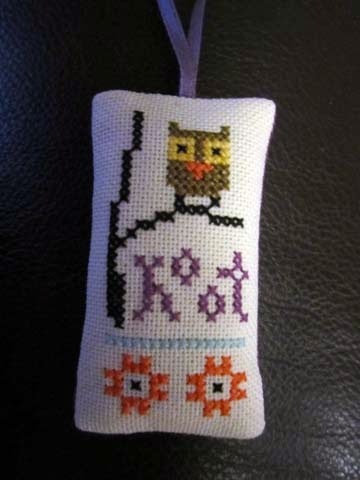 This month I have been stitching an Advent SAL, every day we have received a line of a sampler I managed to keep up for the 1st 7 days then a set of nights get in the way so I am a little behind, on Day 11 now, it is about 3 inches wide and takes about 1 hour each day to do will show a picture when finished. 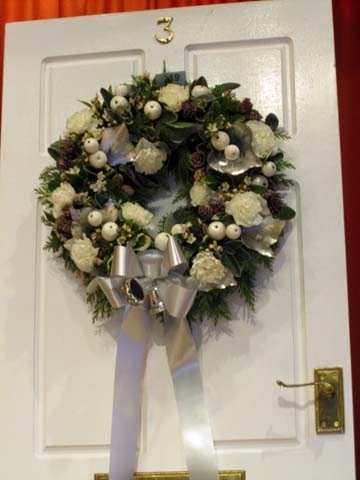 At the beginning of the month I went with my mum to her Flower Club Christmas demonstration it was called White Christmas. 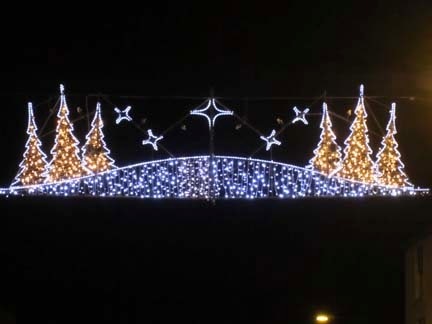 Here is a picture of the xmas lights in Knaresborough near where I live. 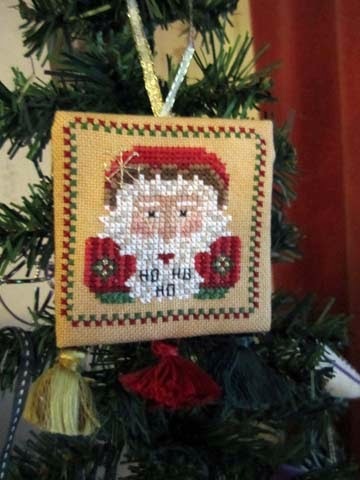 I have also received an exchange from Kate from the HOE site it was a stitchers choice exchange she stitched for me Merry Old Elf from Just Nan 2006, I love Just Nan patterns as they have great detail on them. It is called Hoot by Lizzie Kate. Happy Belated birthday! Lovely exchnages!